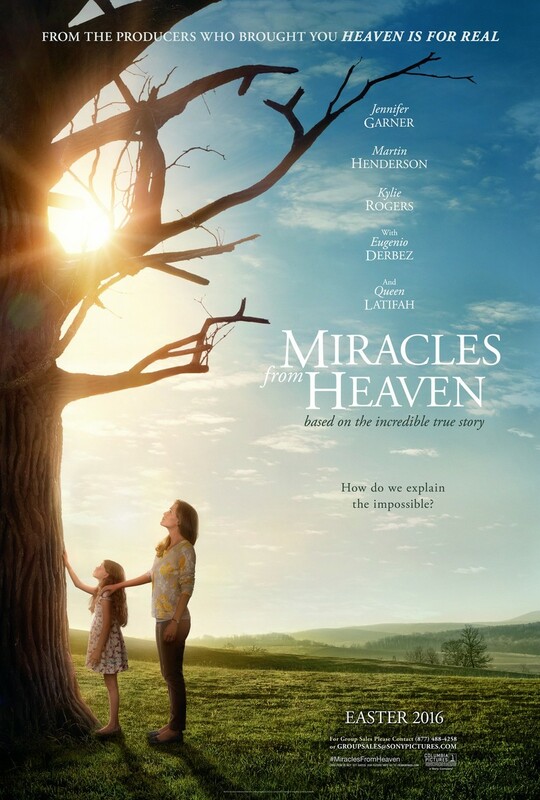 Miracles from Heaven DVD and Blu-ray release date was set for July 12, 2016. Christy Beam is a Texas mother whose whole life revolves around her sick daughter. Anna is a 12 year old girl who suffers from a rare disorder that leaves her unable to eat without a feeding tube. The family struggles to help Anna live a normal life with her illness. After falling over 30 feet out of a tree, Anna lands on her head. Instead of dying or being harmed in any way, she survives the fall, and Anna miraculously recovers from her disorder.